Born and raised in Utah, Dr. Heiner has always valued school, hard work and family. Dr. Heiner enjoys most of his time outside the office with his family, mostly in the swimming pool and fun activities around town. Growing up close to mountains and lakes he has always been involved with snow activities and water activities. Taking the Rocky Mountains and high elevation for granted he still loves to golf and mountain bike when he finds the time. He also enjoys college basketball and football with the U of A. Dr. Heiner has been married to his beautiful wife for 13 years and together have 3 unique and amazing kids Jude 9, Vega 7 and Wren 4. As a family they love to visit San Diego and road trip up to Utah, vacationing through all of Arizona and Southern Utah. 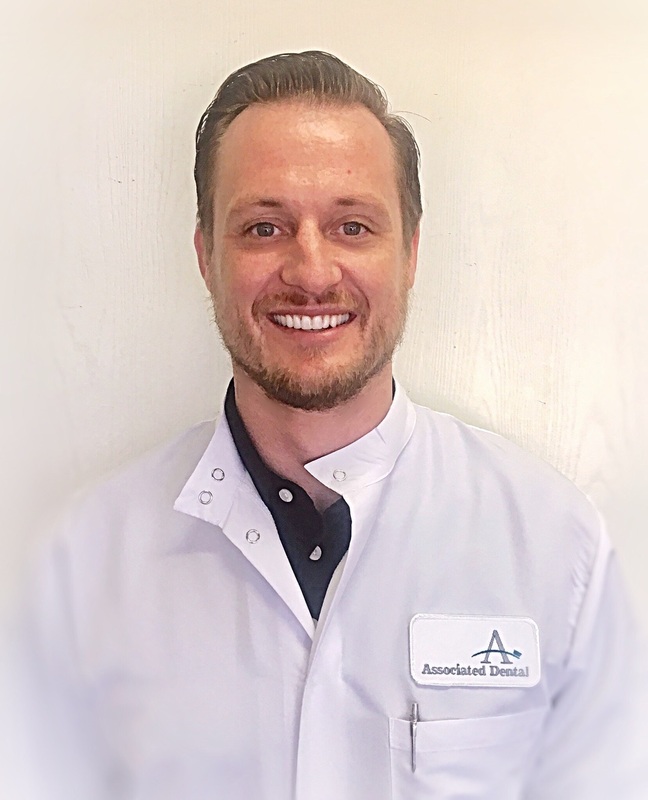 Having lived and practiced in Tucson for the past 6 years, Dr. Heiner is new to Associated Dental and looks forward to treating all of his patients as his friends and fellow members of the community. He has a laid back and comfortable chair side manner with a bit of a sense of humor. He promises to deliver the best dental care that fits each patients needs individually. Dr. Heiner has an extensive background in dentistry outside of being a dentist which allows a unique perspective and a understanding approach in his dental care.